Here in the Richmond, New Baltimore, and Detroit areas, a brawny pickup truck can make a bold statement when you’re out cruising. And there are few on the market more capable than the 2017 Ram 1500. 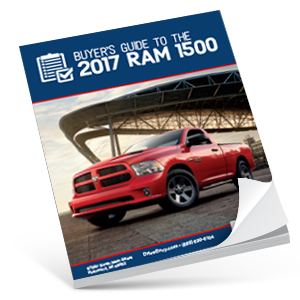 Compared to other trucks on the market, the 2017 Ram 1500 is one of a kind in terms of power. You can see this for yourself by downloading this free eBook today. Afterwards, you’ll have no doubts about what the Ram 1500 is capable of.